That is how I have often been described! 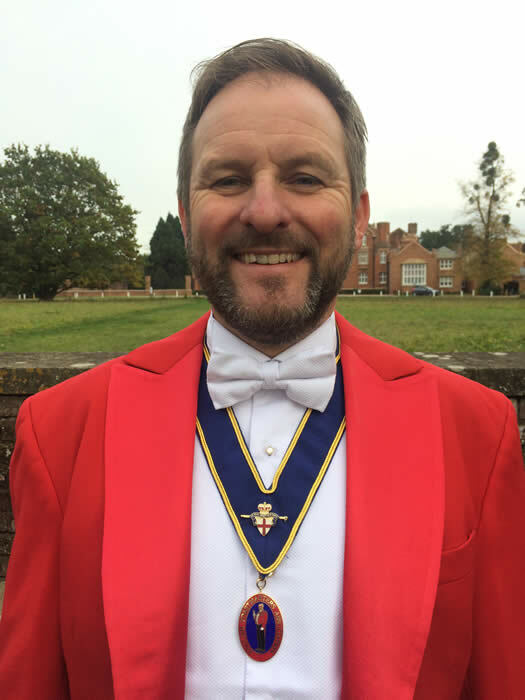 So if you want a Toastmaster or Master of Ceremonies who will bring enthusiasm to your day; if you live ‘A life, less ordinary’, then choose a Toastmaster less ordinary! Your wedding ceremony should be one of your most memorable life events. How do you make sure that it is? ​A traditional church wedding can be lovely. But is it you? Are you a church goer? Do you consider yourself religious? A Registry Office ceremony can also be lovely. But is it you? Is the same service everyone else has reflect who you are? There is another way… In this world where you can personalise almost anything – did you know you can personalise your own wedding ceremony? You, your partner, your families, are all unique. Why not reflect that? The law as it stands in this country, means you have to get a wedding LICENCE from a Registrar. But they do NOT have to do your wedding CEREMONY. Simply pop along to see a Registrar in advance of your Wedding Day (it’s cheaper mid week!) to get the legals done – turn up in jeans and t shirt if you want, with a couple of witnesses. You don’t even need to exchange rings at that point. Then save your personalised ceremony until the big day! Let me guide you through what is possible. The choices open to you are almost certainly more than you ever imagined…!! !